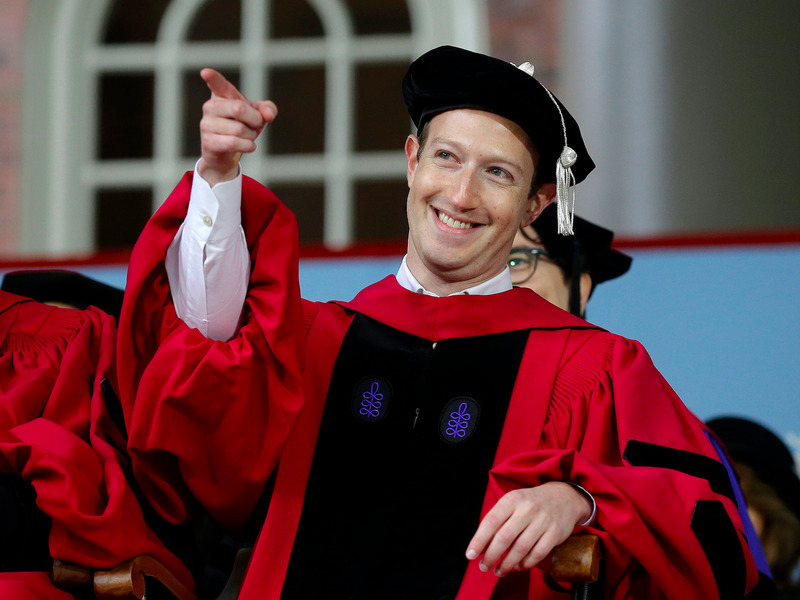 On Thursday, Mark Zuckerberg gave Harvard’s 2017 commencement address and received an honorary doctorate degree. The 33-year-old CEO and world’s fifth richest man famously dropped out the university 12 years ago to create Facebook, which is now valued at $447 billion. During his 30-minute speech, Zuckerberg touched on a range of politically charged topics, including climate change, universal basic income, criminal justice reform, and even “modernizing democracy” by allowing people to vote online.